who once lived in Cainhurst Castle. Forsaken Cainhurst Castle, inside Queen's Chamber that appears after Martyr Logarius is defeated. 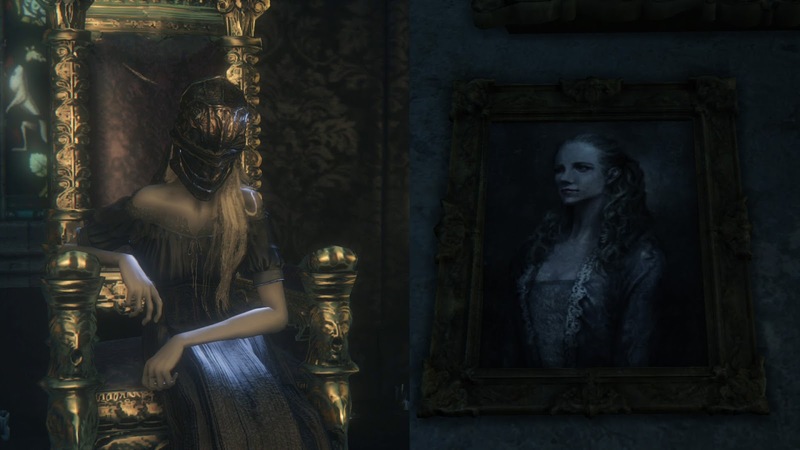 You'll will first meet her in the throne room of Cainhurst Castle after defeating Martyr Logarius and approaching the wall behind his throne with the Crown of Illusions equipped. In order to obtain the items she holds, you must swear an oath to the Vilebloods. Offer Queen Annalise at least one Blood Dreg to receive additional gesture. You can obtain these items by defeating NPC hunters or by killing other players while online (while Corruption oath Caryll Rune is equipped). At any point after obtaining the Ring of Betrothal, you can offer it to the queen for a few lines of addition dialogue, though she will steadfastly rebuff your advances. 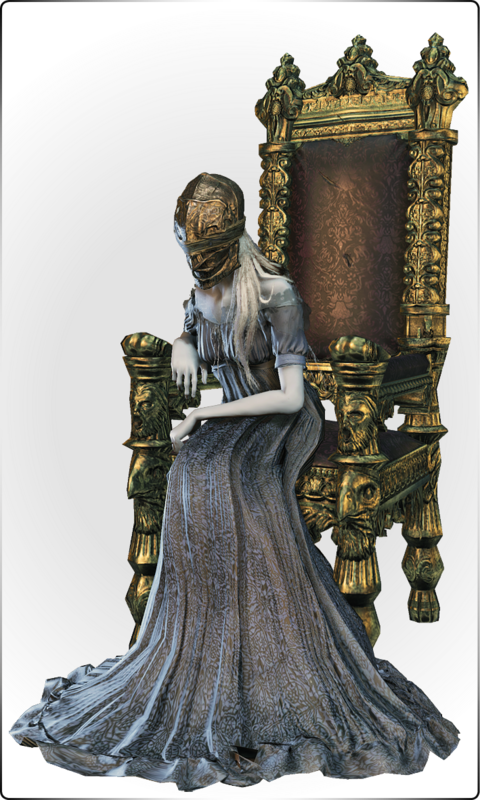 If you have given Alfred the Unopened Summons from the desk near Annalise's throne, he will move to the throne room and "kill" her, once he has done so, examine her throne to obtain the Queenly Flesh. After defeating Ebrietas, Daughter of the Cosmos, trade the Queenly Flesh to the Altar of Despair to revive Queen Annalise. 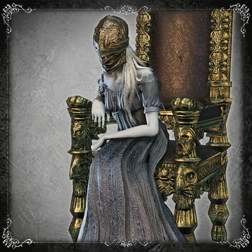 She will reappear on her throne at Cainhurst Castle, allowing you to resume offering her Blood Dregs. Even if you "kill" Annalise and collect her flesh before Alfred arrives in her chamber, his quest line and dialogue will not be altered in any way. "I claim no subjects, but here lieth Our throne." 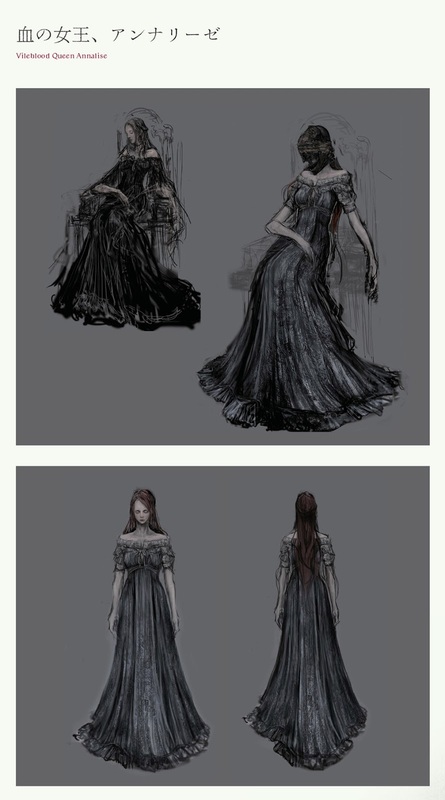 "I am Annalise, Queen of Castle Cainhurst." "Ruler of the Vilebloods, and sworn enemy of the church." "Yet, Our people are murdered, and We are prisoner to this wretched mask." "What is it thou'rt in search of?" "An odd hunter thou art indeed..."
"We've tired of these piteous nights..."
"Share in Our plight, and take oath against the church." "If thou wouldst this path walk..."
"...I prithee partake of my rotted blood." "Drink deep of Our blood." "Feel the spreading corruption burn." "Now, thou'rt too a Vileblood." "We two, the very last on this earth." 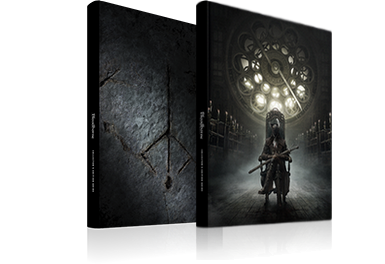 "For the honor of Cainhurst." We have little need of a consort. Such a request would belike lead to further ruin. The thought alone sufficeth. Thy worth is too great. Now, speak no more on the matter. “Ahh, a welcome offer. We offer no resistance. Well, well. Our flesh is undying. A trifling matter. Think on it no more. Speak thy mind.